Darren Keith always had a gift for making people laugh, always thought about putting that gift to good use. Even so, he spent most of his adult life ignoring the voice in his head, the one nagging, nagging, nagging him to “Just go for it,” “Take the chance” and “Buy the ticket, take the ride.” Now that he’s no longer ignoring the voice, he may reap considerable dividends. Then “something happened” that convinced him to stop waiting. (He’d rather not say what, exactly, though he insists it was nothing tragic.) He wrote a script and went about producing a pilot of a TV show to showcase his knack for comedy. 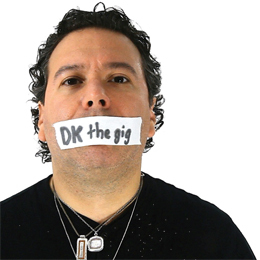 Although he had no idea how or where to begin, his efforts bore fruit: DK the gig, the germ of a comedy series about a 40-something-year-old musician who performs at a restaurant every weekend, playing on a stage far too small for his outsized ego. In the pilot he brought to life, Keith plays the lead role, DK, with straight-faced disillusionment. The comedy is smart, dark and sometimes irreverent, in some ways reminiscent of HBO’s Curb Your Enthusiasm. (Go to DKtheGig.com for a taste.) Although he’s spent his career as a session drummer and “singer-songwriter from time to time,” Keith insists the series is not autobiographical. DK the gig has evolved from a personal dare, something Keith did just to prove he could, into the makings of a full-fledged digital series with the involvement of some heavy hitters— including cinematographer Barry Markowitz, who worked on iconic Hollywood films such as Crazy Heart, Sling Blade and The Apostle. In addition, a cast of veteran actors and Philadelphia-area musicians have committed to the project. First, however, Keith needs to figure out how to pay for it. To help, he’s started a crowdfunding campaign through Indiegogo to raise a minimum of $30,000 to cover the production costs for the four episodes of Season One. 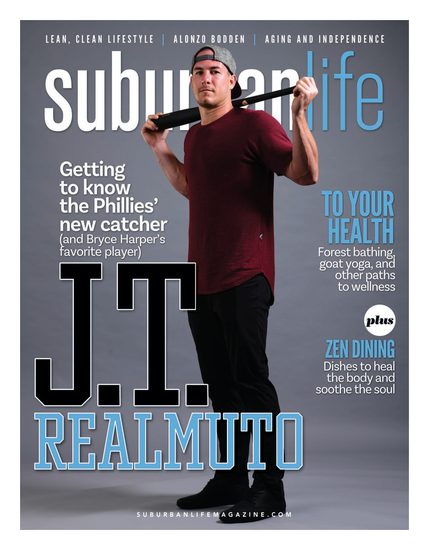 With the funding secured, then it’s time to film; he’s got his eye on locations in Manayunk and along the Main Line.